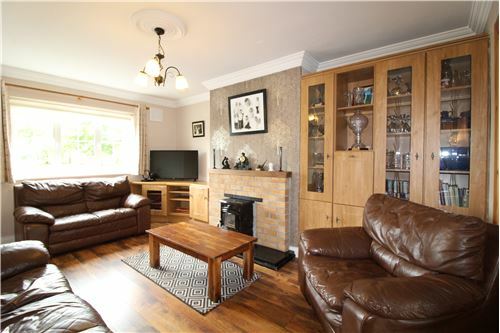 RE/MAX Property Specialists are delighted to bring this beautiful 3/ 4-bedroom semi-detached house to the market. 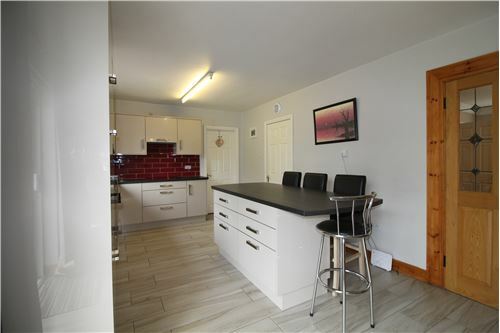 Ideally located in the poplar residential development of Barrow Lough in the heart of Leighlinbridge village. 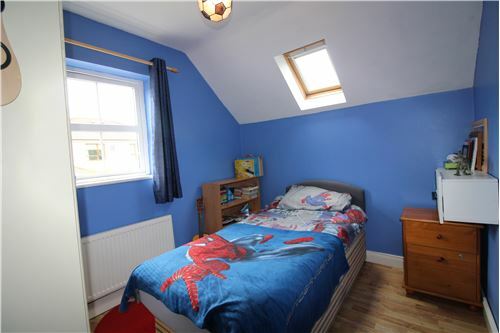 This property is in excellent condition and offers bright spacious accommodation extending to some 117 M² and comprises of entrance hall, living room, bedroom 4/ playroom, wc, kitchen/ diner & utility room, the first floor includes 3 spacious bedrooms and family bathroom. 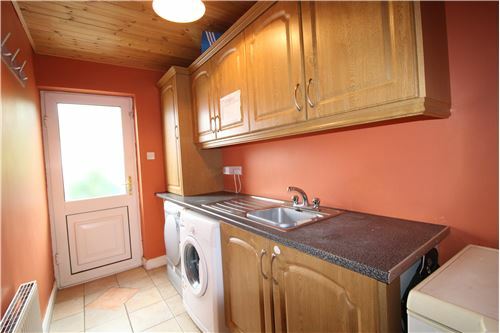 The kitchen has been recently upgraded with modern sleek wall and floor units with integrated appliances. 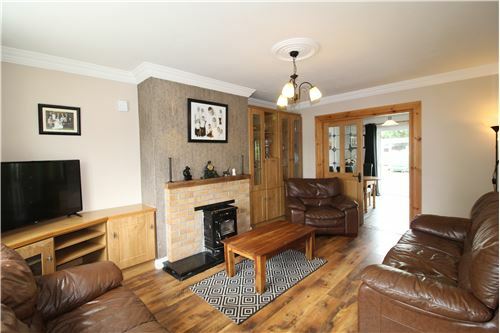 This home is a truly impressive property, positioned on a large corner site overlooking the green area to the front with a double gated wide side access leading to a large enclosed rear garden. 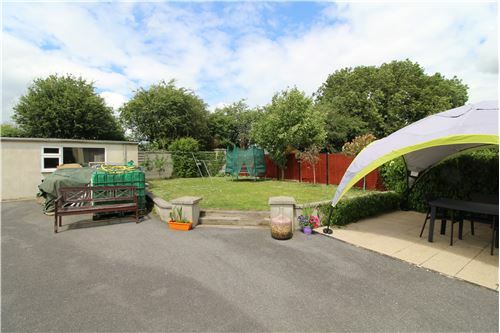 The back garden offers privacy with a paved patio and has a large block built shed which is suitable for many uses. 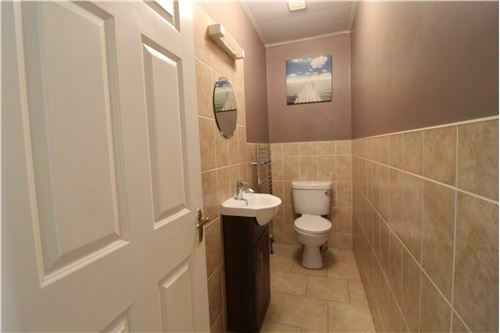 There is ample space for private parking to the front of the house. 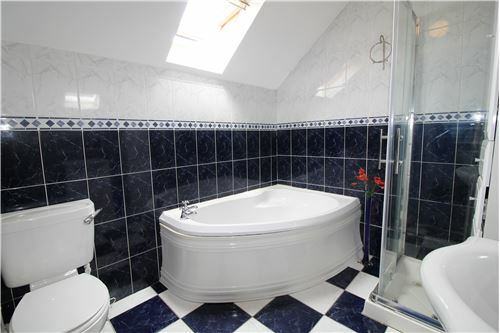 This wonderful property benefits from a C2 BER energy rating, oil fired central heating, PVC double glazed windows and is in excellent condition throughout. While it's convenient location close to every possible amenity makes it is a superb purchase opportunity for the new owners. 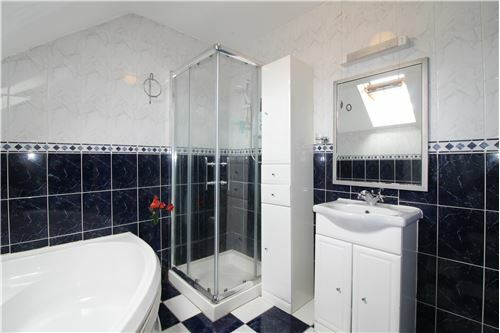 RE/MAX Property Specialists are delighted to bring this beautiful 3/ 4-bedroom semi-detached house to the market. 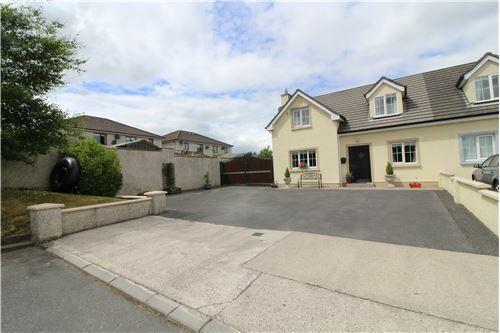 Ideally located in the poplar residential development of Barrow Lough in the heart of Leighlinbridge village. 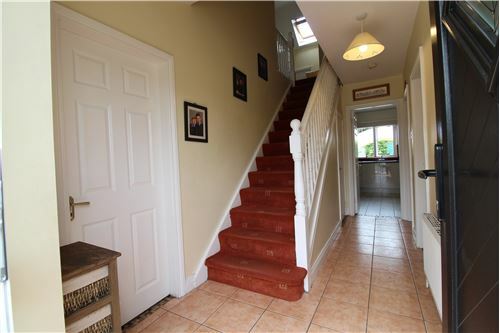 This property is in excellent condition and offers bright spacious accommodation extending to some 117 M² and comprises of entrance hall, living room, bedroom 4/ playroom, wc, kitchen/ diner & utility room, the first floor includes 3 spacious bedrooms and family bathroom. 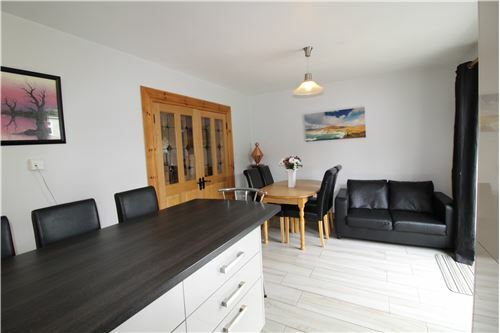 The kitchen has been recently upgraded with modern sleek wall and floor units with integrated appliances. 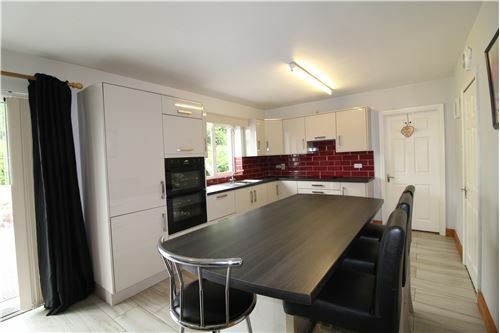 This home is a truly impressive property, positioned on a large corner site overlooking the green area to the front with a double gated wide side access leading to a large enclosed rear garden. 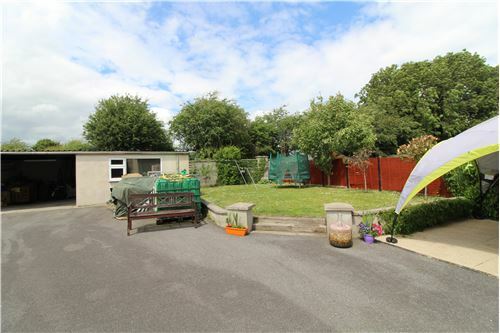 The back garden offers privacy with a paved patio and has a large block built shed which is suitable for many uses. 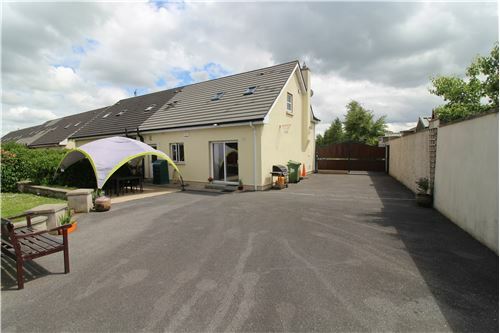 There is ample space for private parking to the front of the house. Leighlinbridge is a picturesque village on the River Barrow. 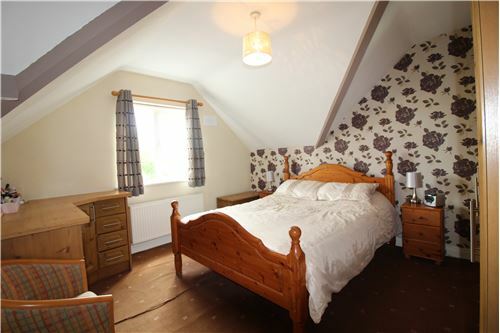 Idyllic and well-kept it offers a host of amenities including a primary school, church, shops, the Lord Bagenal Hotel and the Arboretum garden centre. 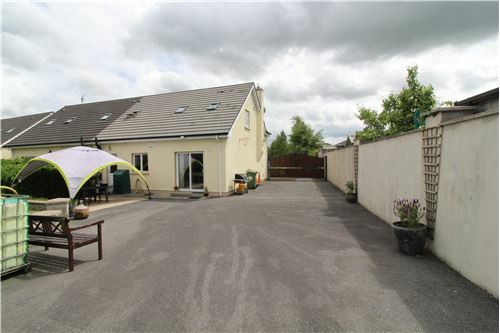 Access to the M9 is a very short distance away, Carlow town is 12km and Kilkenny is 20 km This wonderful property benefits from a C2 BER energy rating, oil fired central heating, PVC double glazed windows and is in excellent condition throughout. While it's convenient location close to every possible amenity makes it is a superb purchase opportunity for the new owners. 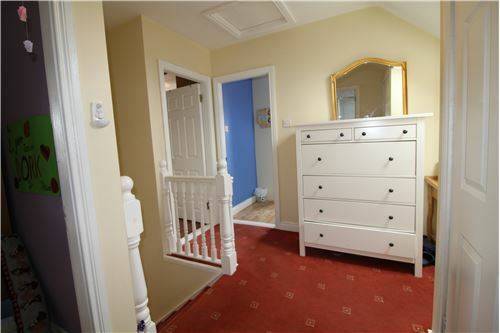 Solid wood flooring, fitted shelving &storage units, fitted solid fuel stove. Double doors to kitchen. 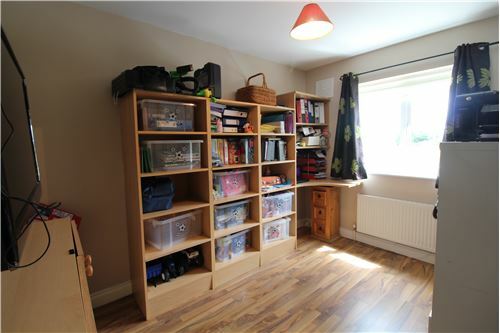 Laminate wood flooring, fitted shelving & storage unit. 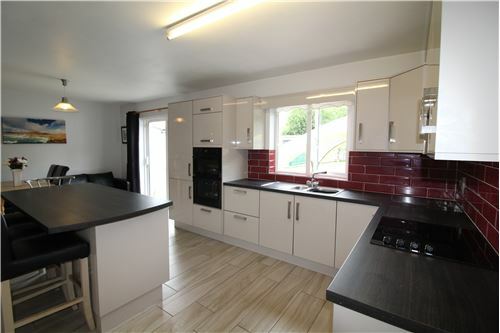 Tiled flooring, floor & wall units, island with storage, integrated appliances, tiled splashback, double doors to garden. 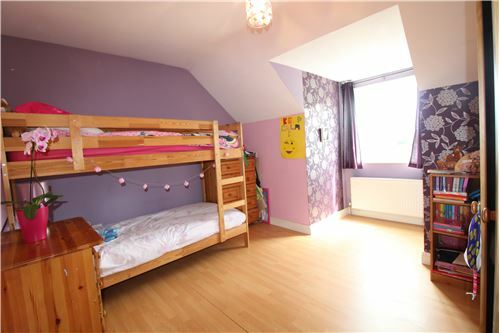 Laminate wood flooring, fitted wardrobes.